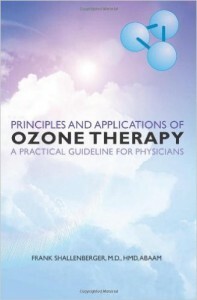 Designed and clinically researched by Dr. Frank Shallenberger, M.D., likely the top physician in the United States using ozone and chelation, this IV therapy has proven its benefits for many cardiovascular, circulatory, degenerative and chronic conditions related to poor oxygenation of tissues. From one perspective the aging process and the decline in function of any gland or tissue can be seen as inadequate utilization of oxygen. This ‘Hypoxia’ or low oxygen availability indirectly leads to excess free radical production. Although the biochemistry is a bit complicated, ozone aids the recycling of NADH to NAD which is a molecule formed in the body from either tryptophan or niacin (B3) and is involved in the primary mechanism for the utilization of oxygen to make energy. 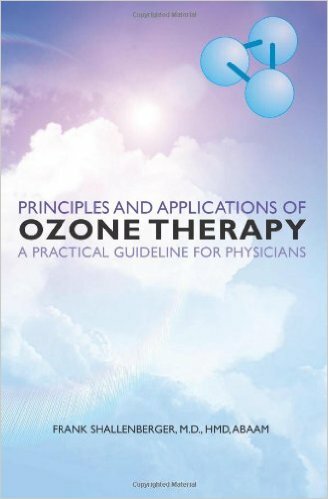 Ozone therapy produces ‘ozonides’ which increase NAD. Ozone also indirectly increases the activity of an enzyme (2,3DPG) in red cells allowing the protein (hemoglobin) to more easily release oxygen into tissues, thus increased oxygen delivery to tissues. All material are sterile and single-use only. All IV solutions are either from a compounding or a more traditional pharmacy. The exact concentration of ozone used for the MAH part is essential. We use the precision of the Zotzmann ozone generator from Germany. The Chezone session will start on the Zotzmann machine to administer ozone to approximately 200cc of blood. You will then be transferred to the larger IV room to receive the IV chelation. The amount of EDTA solution depends upon each individual’s age, weight and kidney health. Before any appointment is made for Chezone a blood test is required (BUN & creatinine) which helps in calculating the amount of EDTA to be used. The entire session lasts approximately 3.5 to 4 hours. We find that adding DMSO to the IV chelation bag will improve results. You might like to investigate the use of DMSO with chelation to understand the added benefits. There is an additional charge for the DMSO and cost depends upon the quantity of DMSO used.